compel witnesses to produce specific documents. Many applicants have been granted official standing in the commission and all have been clustered into 20 groups. Watershed Watch has standing as an individual organization as well as through the Coastal Alliance for Aquaculture Reform. We are a part of a larger group of environmental entities clustered into the Conservation Coalition which has legal representation through Ecojustice. 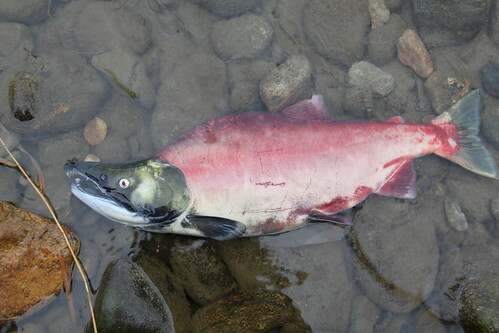 recommendations for improving the future sustainability of the sockeye salmon fishery in the Fraser River including, as required, any changes to the policies, practices and procedures of the Department (of Fisheries and Oceans) in relation to the management of the Fraser River sockeye salmon fishery. An inquiry of this stature has significant powers, and it may be important in exposing underlying problems within DFO’s management regime and new information not previously public. However, even if strong recommendations for improvement are made by judge Cohen in his final report, it should be known that the government is under no legal obligation to follow through. The final report was initially due on or before May 1, 2011; but the commission has acknowledged the complexity of the issues at hand and have requested and subsequently received an extension to June 30, 2012 and an additional 11 million dollars. we will likely testify in person. the accelerated implementation of the Wild Salmon Policy. The public is encouraged to make submissions to the Commission, you can do that through the Cohen Commission website.